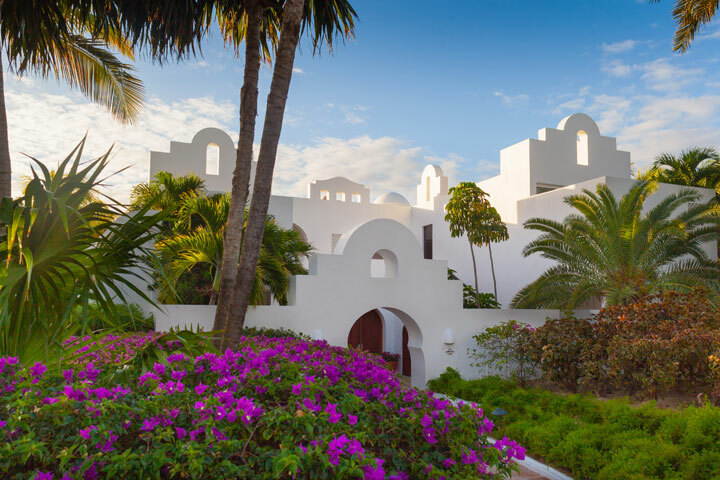 Cap Juluca guest rooms and suites are grouped into 18 Moorish-style beachfront villas. All rooms have an ocean view and direct beach access. 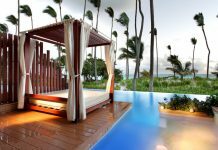 This luxury resort is perfect for beach lovers who like being pampered. 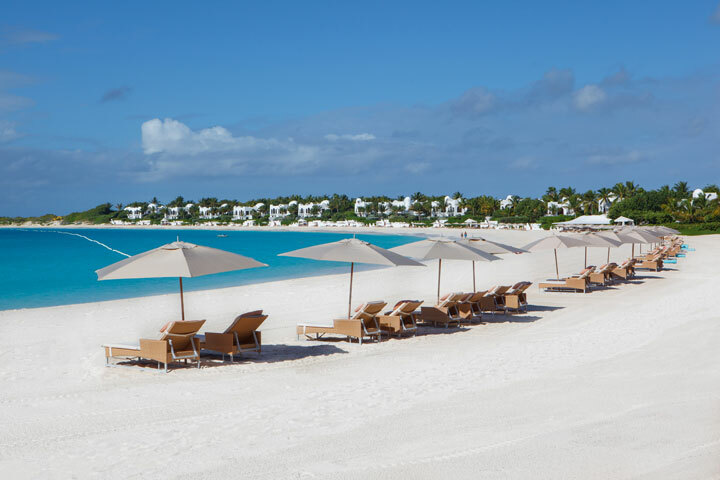 Located along the crescent of Maundays Bay on Anguilla’s southern coast, Cap Juluca is a luxury resort perfect for beach and water sport fans. 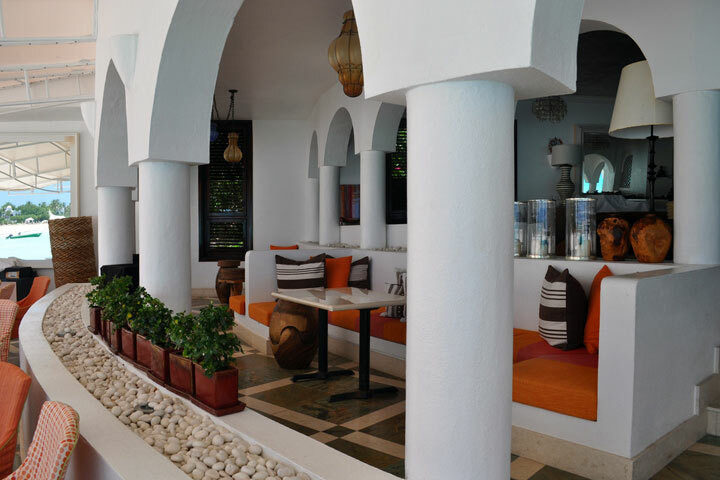 Beach amenities include loungers with extra wide umbrellas, attendants serving drinks and meals directly to your chaise, and complimentary chilled towels, sorbet, and bottled water. There are also five cabana bars along the beach. Beach lovers will enjoy the resort’s beach services, including chaise-side beverage and meal service; complimentary chilled towels, sorbet, and bottled water; and five cabana bars along the beach. A wide variety of water sports are complimentary, including windsurfing, sailing, paddle boarding and kayaking. Waterskiing and SCUBA can be arranged for additional cost. There’s plenty to do on land as well, with morning aerobics, a tennis center offering weekly clinics, and access to a nearby championship golf course designed by Greg Norman. 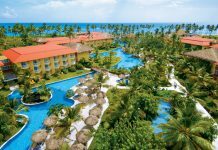 The resort features newly refurbished beachfront rooms, suites and villas outfitted with new mattresses and linens, Bose Wave stereos with iPod docking stations, free wifi, and new towels and robes. 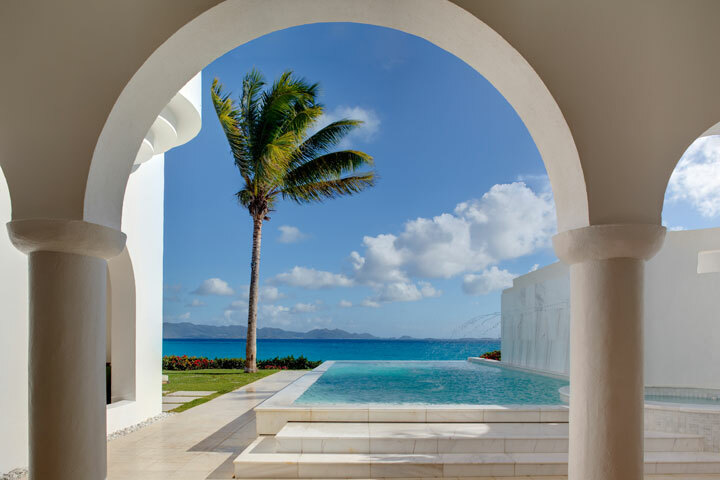 Every room at Cap Juluca has an ocean view. 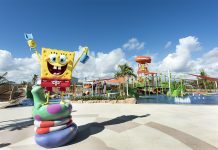 There are four restaurants on site, including Pimms, serving high-end seafood and Caribbean cuisine, and Spice, a Moroccan-inspired waterfront bar offering light fare and tropical drinks with live evening entertainment. At the recently refurbished Blue, visitors enjoy complimentary Continental buffet breakfast, casual all-day fare like wraps and salads, and a luncheon BBQ every day. On Wednesdays nights, Blue offers BBQs with live reggae music and dancing on the beach. 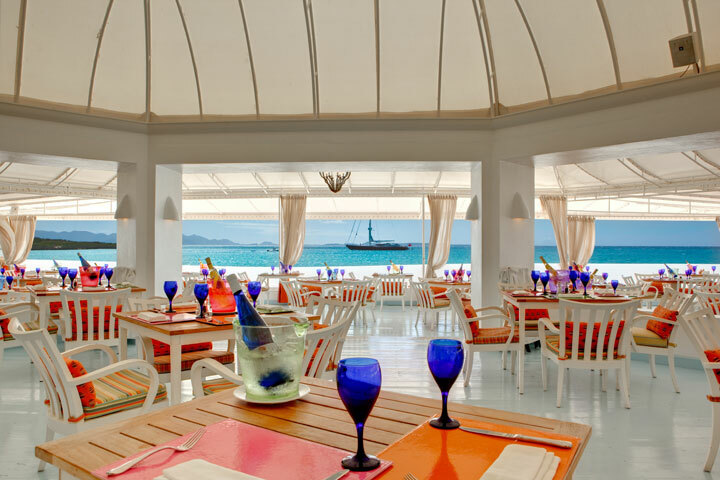 Blue is the resort’s casual beachfront restaurant, offering a complimentary Continental buffet breakfast, and casual BBQ lunches as well as salads and wraps. 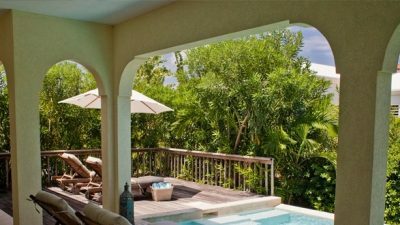 The completely new 3,290-square-foot Jonquil Suite offers two master bedrooms, a central spacious sitting room, full-service kitchen, a beachfront dining terrace and a private, freshwater infinity pool and Jacuzzi.